I have been blogging since my 3 year old was born. We have a simple family blog that I use mostly for sharing pictures with family members who don't get to see the girls very often. Then last summer I added this teacher/mom blog to my to do list each week. Sometimes, I felt like I was doing double the work, especially on my family blog. I'd blog about something we did and then I'd write about it again in our weekly scrapbook. A lot of times it would help me scrapbook even faster if I'd already typed the story on my blog. Then I would just write a shorter version in our scrapbook. It works but there are still times when I feel like I'm doing twice the work. 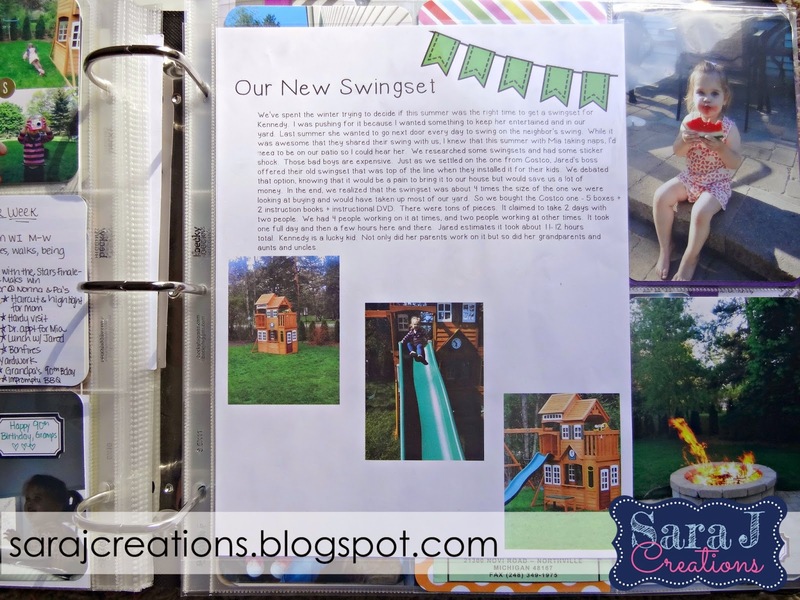 During weeks that we have had a big event that I blog about, I've started just printing off the blog entry and including it in the scrapbook. No more double the work and writing the same story twice. I do this a few different ways. 1. As an insert - This is the easiest way to include a blog post. I take the text and cut and paste it into Powerpoint. I adjust the size and fonts and add a border or clip art and print it out. Then I insert it into a page protector. Because my scrapbook is 12x12 and inserts are often 8 1/2 x 11, you can still see pictures around it from the week. Sometimes I add a tab on the insert so you can see that it is an addition to the normal layout. 2. On journaling cards - This way is a bit more time consuming but still isn't hard. I copy the blog post but instead of pasting into an 8 1/2 x 11 size, I paste it into 3x4 journaling card size. Just an alternative to writing out the story by hand. I don't use this technique every week, because I like to see my handwriting in our scrapbook but it is a good option when you already have something typed up. 3. 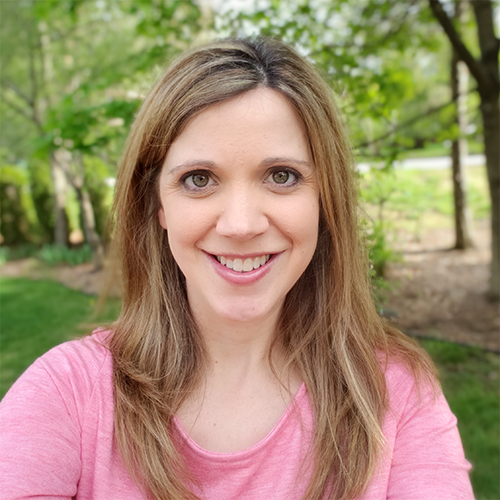 Last week, I shared about using QR codes to include videos. You could do the same thing with a link to a particular post. If there is a post you want to include, just create a QR code that links to the post. You can follow THESE directions and use the link to your post instead of a link to a video. I've used these techniques to include posts from this blog to our family scrapbook, too. For example, THIS post was all about my thoughts about being a stay at home mom when the school year starts and how sad I feel each year. I felt like it told the story of me at that moment in time and it was a way to get my thoughts and feelings into our scrapbook. I simply printed it out and added it as an insert to that week's layout. So don't do double the work. 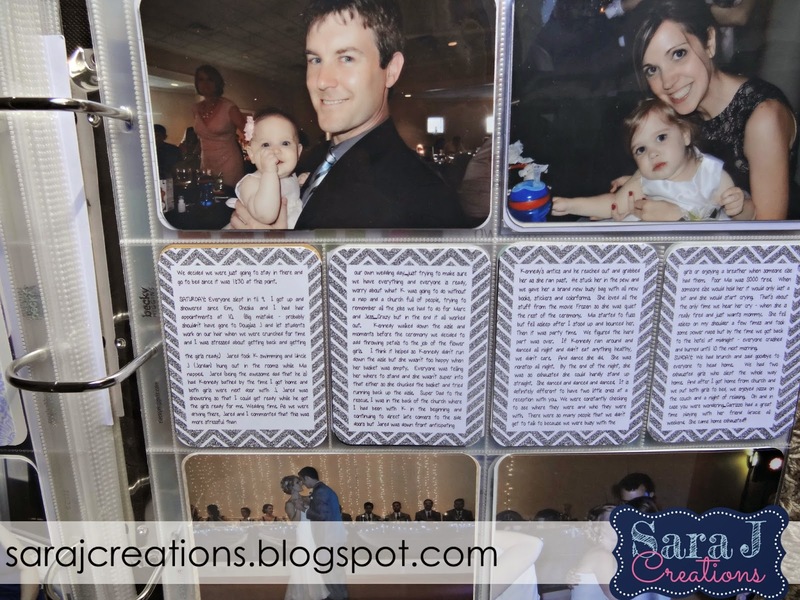 Include the work you are already doing in your scrapbooking. If blogger is part of your identity - include that in your scrapbook.